Tax and Gratuity is not included. You will be charged at the venue. Table will be located in The Club House VIP Room. Tax and gratuity not included. You will be charged at the venue. 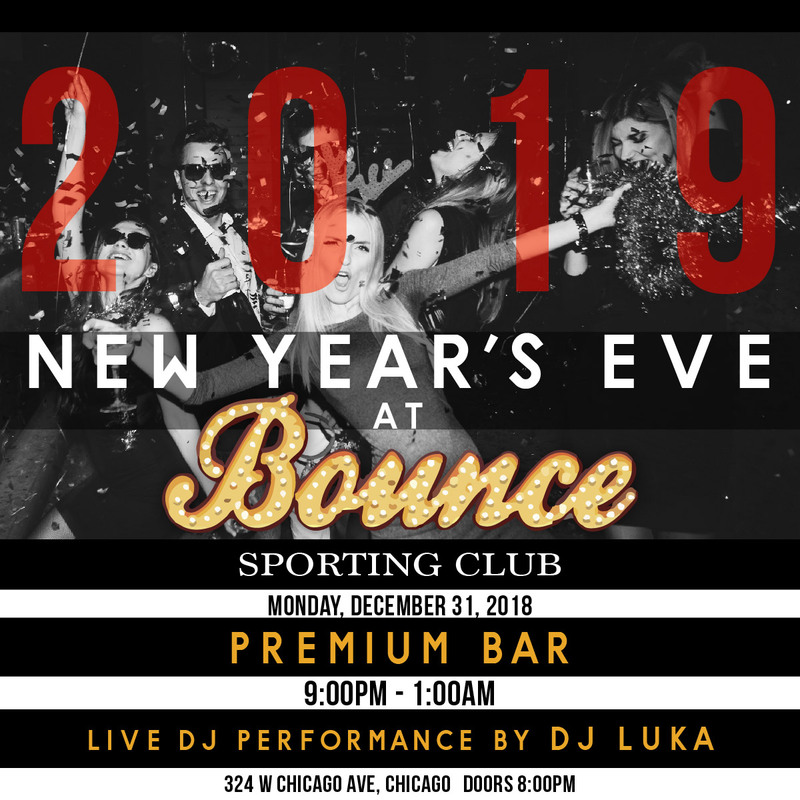 Celebrate New Year’s Eve at Chicago’s most noteworthy venue, Bounce. Bounce’s brash electric orange signature is anything but ordinary in the iconic River North, known for its plush posh nightclubs and 1930’s post-industrial vibe. This NYE, enjoy Bounce’s cutting-edge contribution to the nightlife culture of the Windy City at a party destined to be spectacular. Experience the perfect mix of classiness and rowdiness while enjoying the four-hour premium open bar. Polished behavior is not encouraged here. So, spend your night letting loose on the dance floor surrounded by non-stop music from a live DJ performance. Raise your glass to the year that’s passed with a midnight toast accompanied by a live DJ countdown. Partake in the ultimate NYE experience by enjoying a live television broadcast of the ball drop in Times Square. 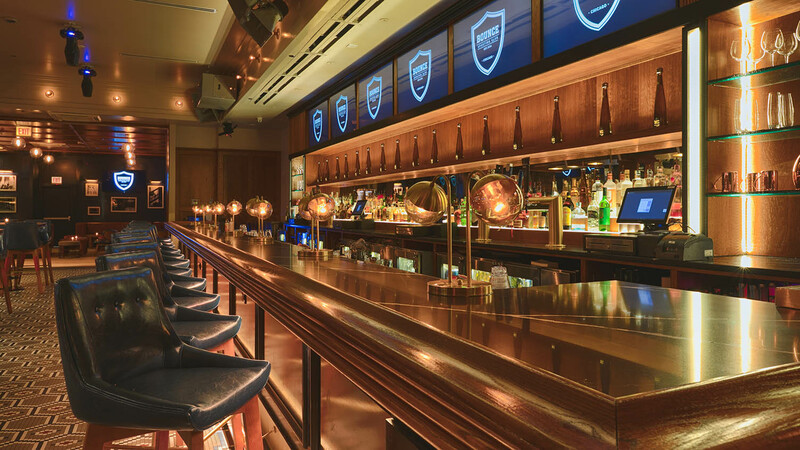 Bounce’s blue leather bar stools, traditional hardwood floors, and low hanging lights put the perfect spin on Chicago’s conventional party scene. Celebrate the coming of the New Year by indulging in your drinks of choice and early-evening buffet. Looking to intensify your experience? Treat yourself to one of Bounce’s VIP packages. 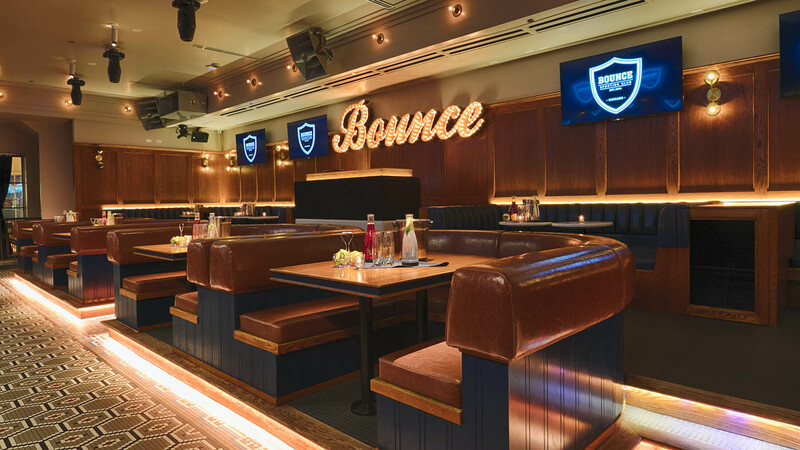 Co-owners Yosi Benvenisti and Cole Bernard opened Bounce’s first location in the heart of New York City. 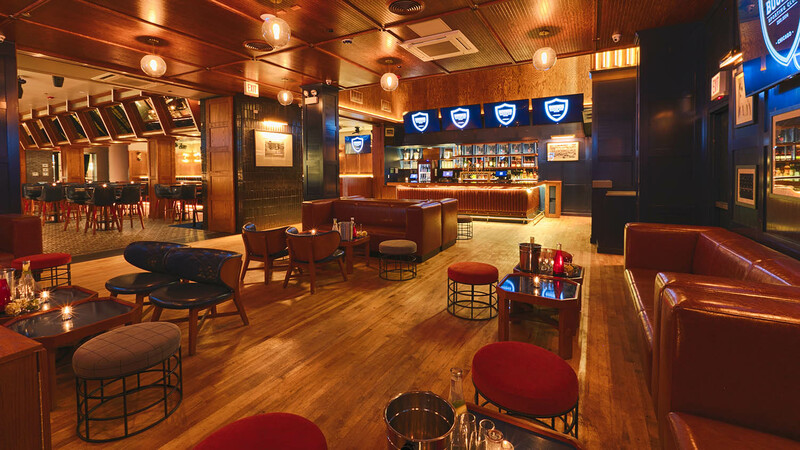 Aiming to transform the bar scene, they created a lounge suitable to host some of the hottest parties in the city. 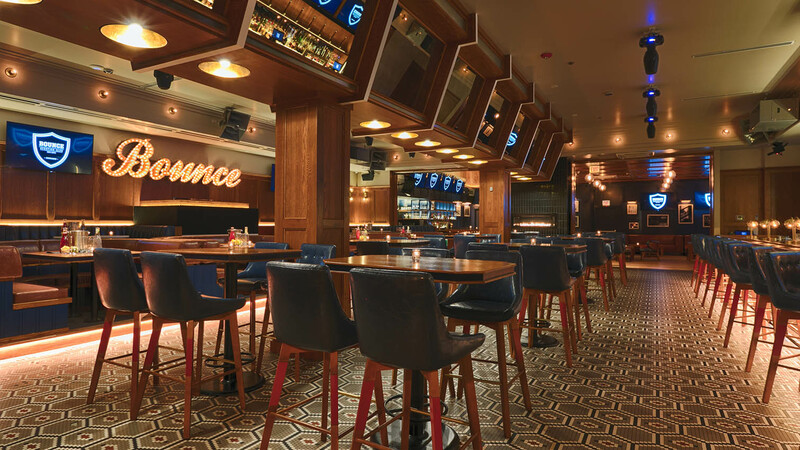 In 2017, Bounce's second location opened in one of the world’s hottest nightlife scenes, Chicago. 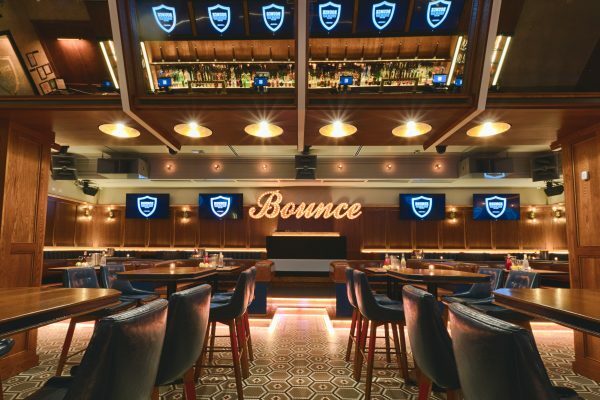 Bounce is the destination hotspot for some of the most well-known A-list celebrities. Fetty Wap performed at the grand opening of the Chicago location with his crew, Rick Fox and Larry English. Toast to the final hours of the year at one of the hottest venues in Chicago and be at the forefront of this novel bar scene.